❎ Unverified | I flew from Paris to Osaka and transited for Bangkok. The immigration control is horrible, a real nightmare! Fingerprints, photo of your face etc.. All the planes arriving at the same time in the morning. 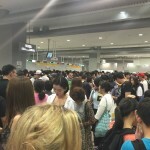 I had a transit of 3.5 hours in KIX and I spent 2.5 hours queuing for immigration. Tokyo is much quicker and friendly. Kansai Osaka, never again! ❎ Unverified | Travelling to Kyoto, Kansai being the closest airport appears hardly welcoming to foreign tourists. 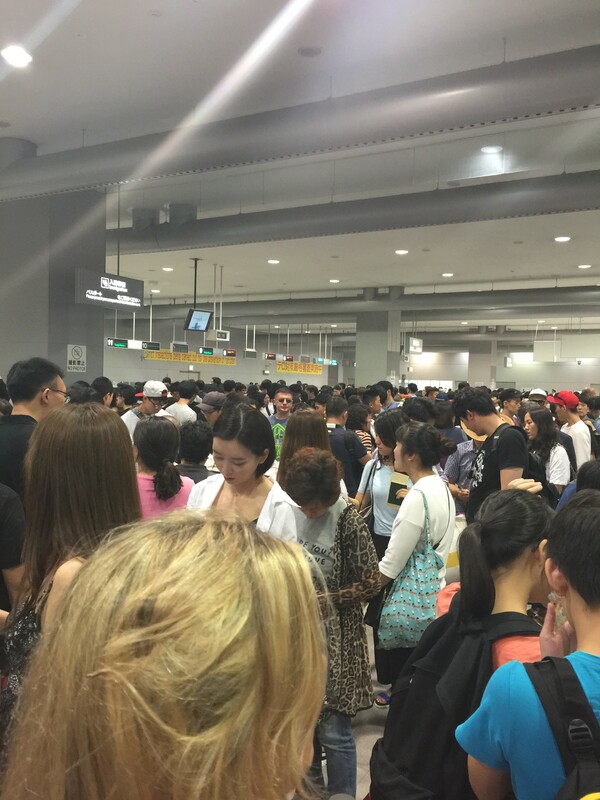 If you are not a Japanese passport holder, then good luck for queuing up for hours for immigration. Hundreds of people arrived at the same time, yet only a handful of counters are open for foreign passport holders. In contrary, about 10 counters are waiting for Japanese passport holders, even when there are only less 5 waiting! 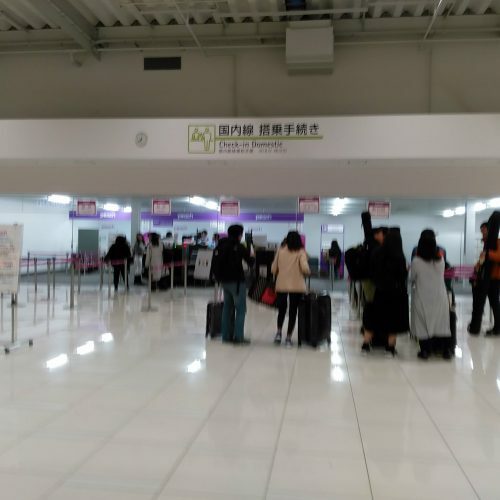 The airport staff reluctantly divert a few foreigners to 1 or 2 Japanese passport counters only when there are none waiting for them. Worst immigration ever seen. 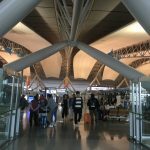 ✅ Verified Review | Kansai Osaka to Shanghai. I took a limousine airport bus from Ibaraki to Kansai airport. 1 hour 10 mins ride. Kansai airport is on a manmade island. It's looking wonderful. Very quickly check in. Security system really great. After immigration and security check. go to gate by train. 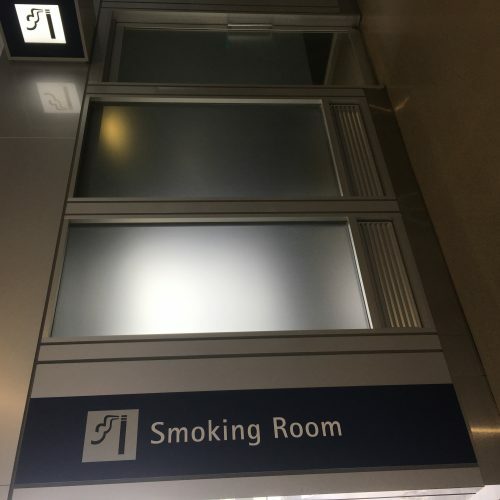 Inside has smoking areas. Direction sign very well shown. Staff are really helpful and polite. WiFi working very fast. One of best airport in the world. 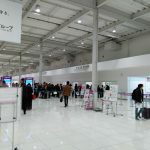 "found it to be a poor airport"
✅ Verified Review | I departed from T1 Kansai Osaka Airport in Feb, 2017 and found it to be a poor airport. I found plenty of design problems at this airport, such as only two small entrances (north and south) for all passengers to go into the restricted area. 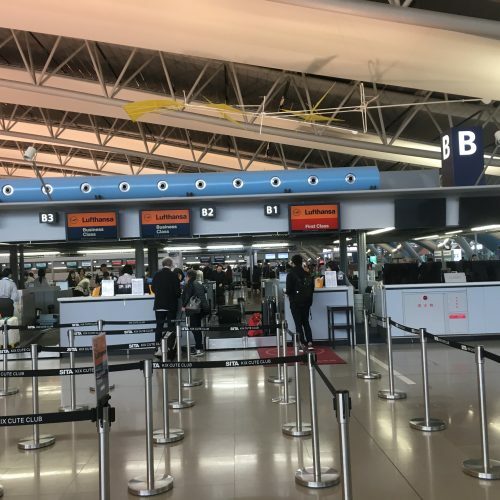 The staff asked the passengers to queue in 4 lines, however, only one airport staff was present to check the boarding passes and passports which did not make sense. Since my flight was delayed for six hours I needed to stay in the restricted area for more than 6-hours. However, there were only a few restaurants (the taste was below average) and limited shops are available there. In addition, the Wifi was not working well during my visit. 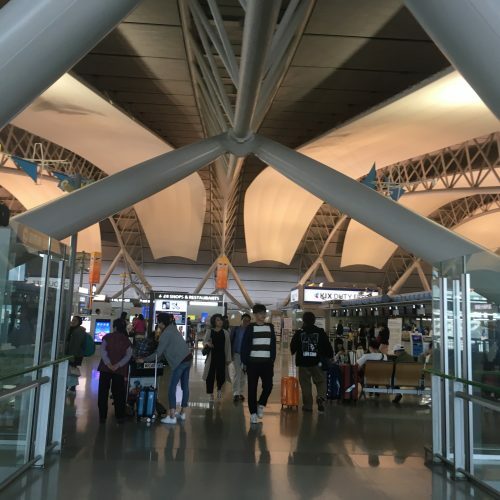 "Terminal 2 is pure functionalism"
✅ Verified Review | Terminal 2 at Kansai Osaka is pure functionalism. Reminds me more of a logistics company hangar than an airport for humans. Simple metal building with only few practical things that serve the purpose to take people and make them fly away quickly. Check-in was little chaotic due to several Peach flights departing in tight schedule. Security had long queue but was fairly fast, with about 4 or 5 checkpoints. Departing hall is very small and can hardly accomodate travellers if there are several flights at the almost same time. Little facilities to sit down. Few shops and options to buy food before flight. The 1 vending machine doesn't save the game. However, all staff there was professional and ok. I feel sorry for everyone who has to spend long waiting times at Terminal 2 of KIX. "the worst airport I have used"
This airport gets good reviews worldwide due to their record of never having lost a bag. This must be due to the inordinate amount of time they make people wait at immigration. Even if they did lose a bag, they would have hours to find the thing as everyone is waiting for so long trying to get through the immigration process. Someone needs to teach the immigration officers about using their initiative to just accept a reasonable representation of the address they are staying at in Japan instead of making everyone write 100% clearly the address, postcode, phone number etc of the hotel they are staying at. Quite possibly the worst airport I have used. Frustratingly I am subjected to this airport and the idiot staff on a monthly basis. 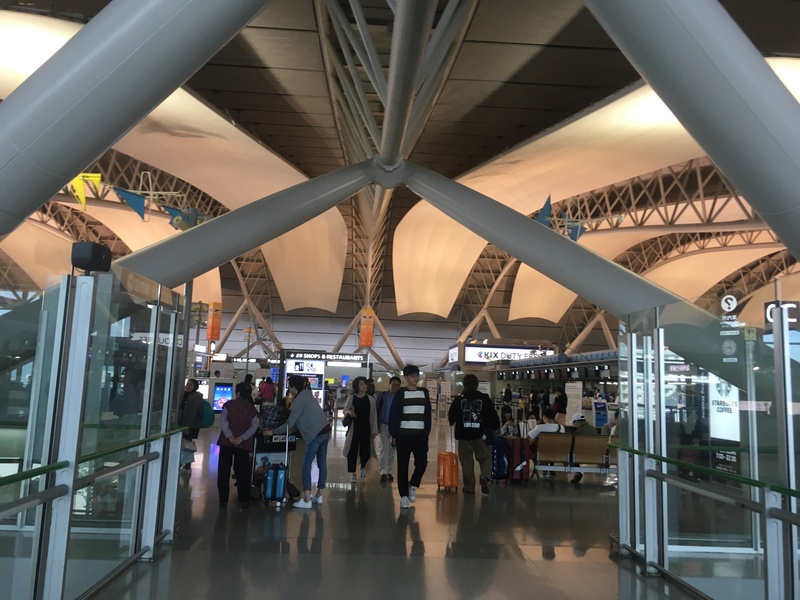 "time to consider other options"
I travel to Japan a couple of times a year and Kansai airport is easily the worst part of the experience every year. Flights from Europe (I think Amsterdam, Paris and Helsinki) all arrive around the same time in the morning, and more often than not so do flights from China and Korea. With many hundreds of foreign passengers arriving around the same time there really should be more than six passport control desks open to process them. This is the routine every day so it's not like they can put it down to other excuses. This has been my experience for several years now and I've reached the point where it's time to consider other options for travelling to Japan. 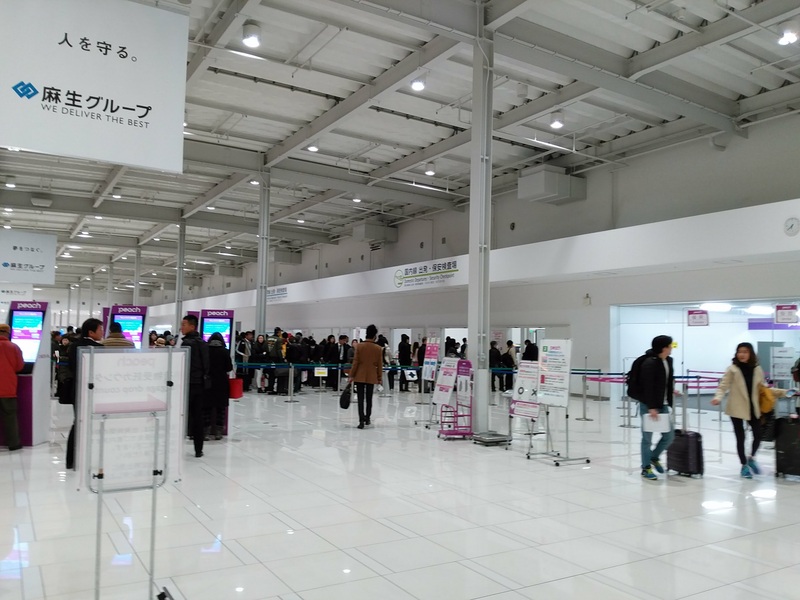 "frustratingly long lines at immigration"
Kansai Osaka airport has frustratingly long lines at immigration, meticulous customs searching through your luggage (took me about 1.5 hours to clear both immigration and customs). At least there is free wi-fi that works really well, so you can inform all your friends about arriving to Japan while waiting to clear immigration. Not enough information about onward travel options. Ended up buying the wrong train ticket - only had to cover the fare difference on the train, so it's not too bad. Worried a bit about when I have to get to the airport for my return flight - was told that immigration and security lines for departing flights are also quite long. Horribly long lines. Completely out of character with Japan in general. Greed clearly took over and they accepted way to many Chinese charter flights compared to what the airport can handle. THAI / Star Alliance lounge also poor, cramped and hot. 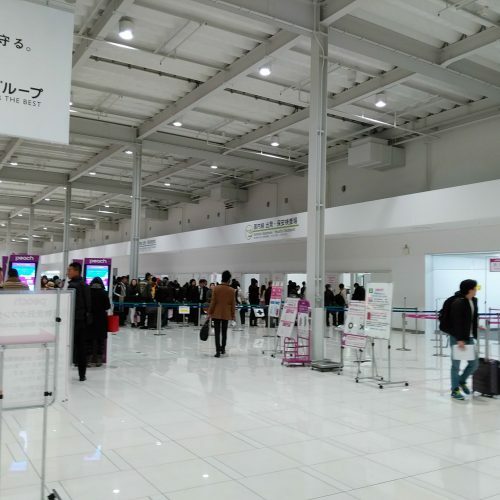 Overall an embarrassing airport for a country like Japan. Kansai Osaka International Airport is quite far from the city proper however, there is a regular shuttle bus (and train services) coming in and out of the airport so no problem for accessibility after all. Just prepare the shuttle bus (train) fare as add-on to your budget. Airport staffs are courteous and friendly and are very much willing to assist you. Queuing time at immigration is fast as most of the counters are attended. Signage and direction are clear and easy to understand. There are plenty of seats where you can work (for business travelers) or just take a rest (nap if you will) without being disturbed by other travelers. Upon arrival (if you are on a short visit only) find a counter after immigration where they offer a free wi-fi access for your stay in Japan. Just like with Narita and Haneda, this airport is clean and well-maintained.